Our NEW Summer 2013 digital catalog is here! You can view and shop the hundreds of fun summer themed products and ideas here. 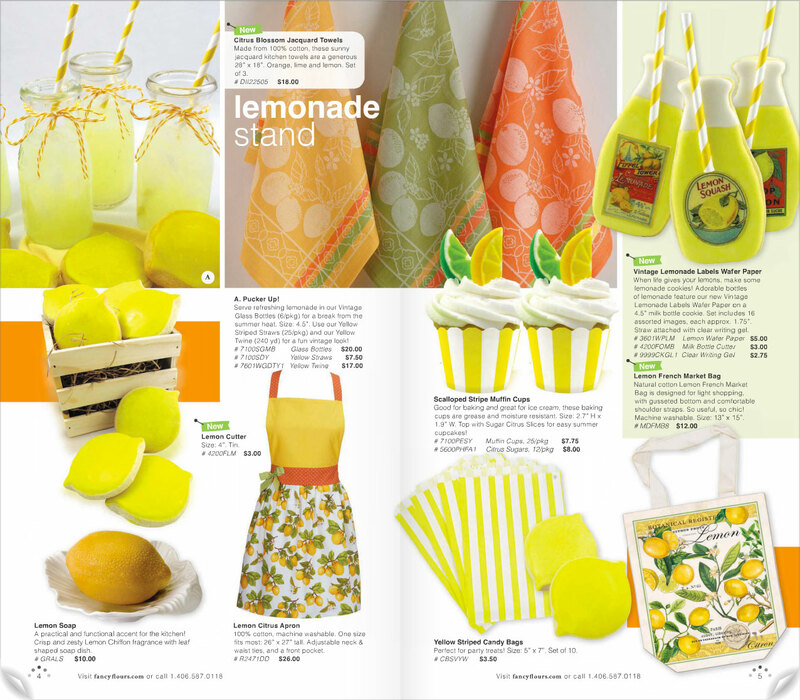 Lemonade Stand – A collection of fresh citrus themed products that make you thirsty for a cup of cold lemonade! A perfect Summer party theme! Some new products we love are the cute Vintage Lemonade Labels Wafer Paper, the chic Lemon Market Tote Bag, the fun Lemon Cookie Cutter and the sunny Citrus Blossom Towel Set. Friendly Frogs – It’s easy being green with our fun frog themed items! 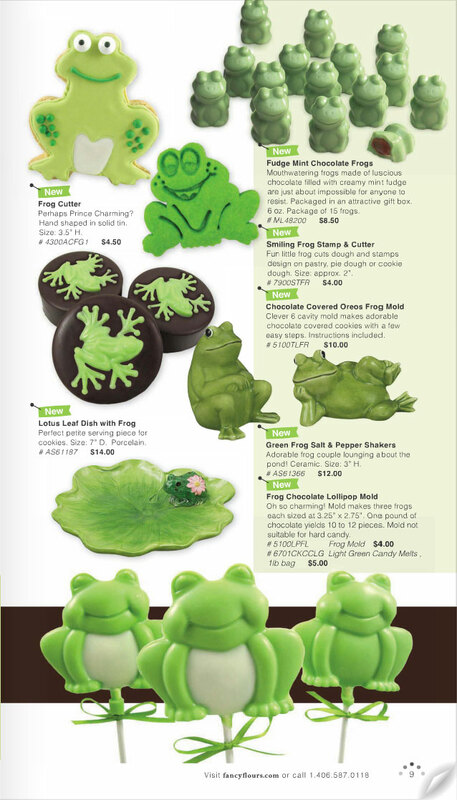 Every item on this page is brand new, but our favorites are the adorable Frog Chocolate Lollipop Mold, the delicious Fudge Mint Chocolate Frogs and the smiley Frog Stamp/Cutter that doesn’t require decorating! 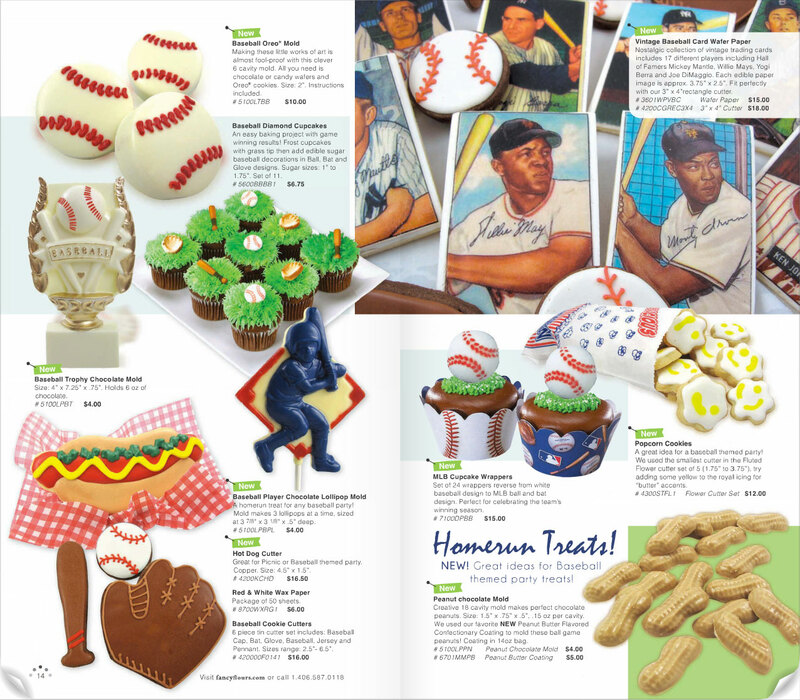 Home Run Treats – Great new ideas for baseball themed party treats! We love love love the silly Hot Dog Cookie Cutter, the nostalgic Vintage Baseball Card Wafer Paper and the easy to use Baseball Oreo Mold. What are you favorite themes and/or products this season? This entry was posted in All Things Baking, Announcements, Baking Inspiration, Summer Fun Baking and tagged baseball party, beach party, chocolate frogs, frog party, lemonade party, summer catalog, vintage baseball card by Fancy Flours. Bookmark the permalink.